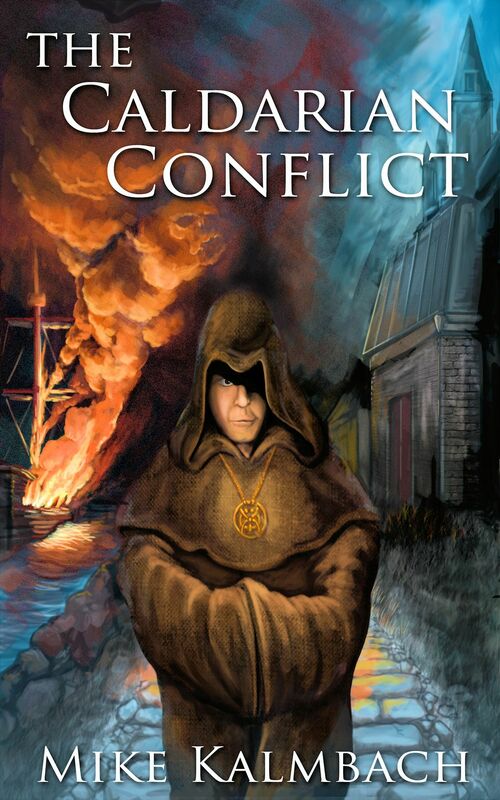 After a lot of consideration, I’ve mostly settled on self-publishing my debut novel.Â For the past few weeks, I’ve been working with a cover artist, and here’s what we’ve come up with. Thoughts (compliments and criticisms) are welcome and appreciated.Â There is still some time to make adjustments, but we’re pretty sure this is getting close to a final draft (click the image for a larger version). What do you think?Â Please note anything you assume will be fixed in the final version–sometimes I might be blind to certain “artsy” things that should be adjusted. Also, since I know not everyone is familiar with my book, here’s an initial draft of the back jacket copy.Â Note: This has been adjusted in response to Curt’s and John’s comments below. “Pirates are a disease,” Admiral Cain often growls.Â He’ll stop at nothing to eliminate piracy from Caldaria.Â Luckily, Cain and his ruthless assistant Krell have finally landed on a seemingly perfect solution. There’s a catch: if the Caldarian citizens discover what they’re doing, the peasants will revolt.Â If the king finds out, Admiral Cain will lose his head. 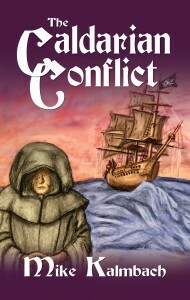 Brother Mendell, a monk dedicated to Lord Justice, is sucked into the battle when he consoles a pirate prisoner sentenced for execution.Â In his quest for justice, Mendell inadvertently finds himself at the forefront of a war between pirates and the Caldarian navy. In order to bring the scales back into balance, Mendell must navigate deadly seas, survive traitorous pirates, and outsmart the devious admiral and his ruthless assistant. If he fails, the freedom of an entire nation lies at stake. Comments on this summary are also welcome.Â Looking forward to your suggestions!